"to support and work alongside education with a common goal through the delivery of FULLY INCLUSIVE tailored learning both nationally and worldwide"
EDLounge is a training and education centre providing virtual learning, management, and guidance through an online platform that breaks down all learning barriers for anyone. 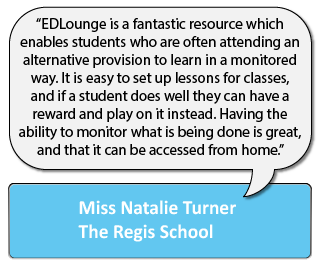 EDLounge will be happy to help support your school and students across many different needs. To be the outstanding provider of choice, delivering high-quality educational learning platforms. We are committed to our Customers – We break barriers to learning for all. We provide access and opportunity to educate and recognise the whole learner. We work as an organisation and individually to the best of our ability, putting the customer’s needs at the heart of everything we do. Integrity and accountability are important to us – We do what we say we will. Our organisation is built on honesty and transparency. We are reliable. Teamwork – We work together as a team. We value and respect each other and our customer. Respect – All those who come into contact with us - matter. Inspire – We believe as an organisation that learning should have NO limits. We raise aspirations through innovative teaching and learning solutions.